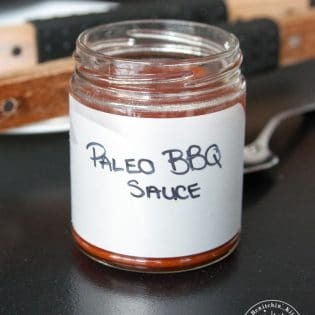 This homemade and paleo bbq sauce recipe is perfect. Add it to all of your paleo recipes. Tastes great with chicken, turkey and beef. Bring broth and garlic to a simmer on medium for 5 minutes. Simmer on low for 25 minutes, remove from heat and let temperature come down about. Jar it up (or use some reusable containers) and store in the fridge.